Human, a name naturally defined for our first model! 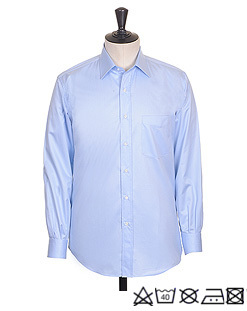 This versatile dress shirt is perfect for both business attire as well as casual occasions. Its 'Oxford' fabric and its slightly fitted cut apportent bring comfort and impeccable elegance. Reserve free of charge your Human shirt*. Invent Your Planet is inspired by the today's active men, appropriating the codes of the fashion to create their own styles. Human shirts distinguish themselves by a style of a relaxed, original and comfortable elegance, as well as quality details which make of the man the perfect gentleman of modern times. Copyright Invent Your Planet - All rights reserved.